Bill Sandbrook, our CEO, was a guest on Fox Business Network’s Morning’s With Maria this morning. 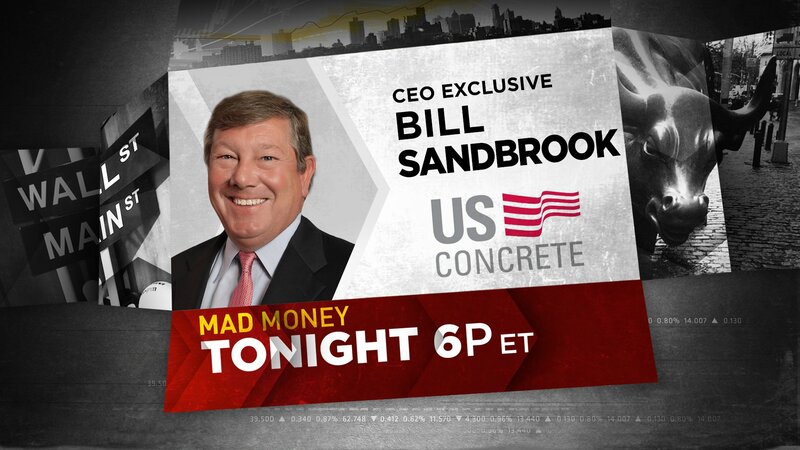 In the lengthy segment, which can be viewed below, Bill talks about the condition of infrastructure across the country and the significant need for Washington to no longer kick the can down the road when it comes to investing in infrastructure. The gas tax hasn’t been raised since August 10, 1993 – prior to Amazon's existence! U.S. 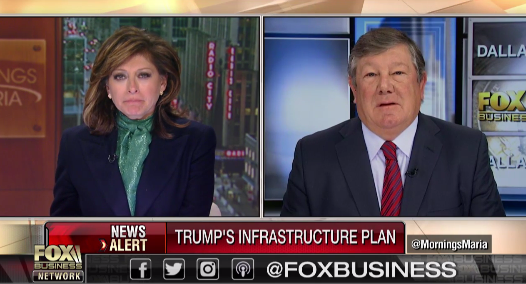 Concrete CEO, Bill Sandbrook, joined Maria Bartiromo on Fox Business to discuss potential economic impact of President Trump's infrastructure plan. 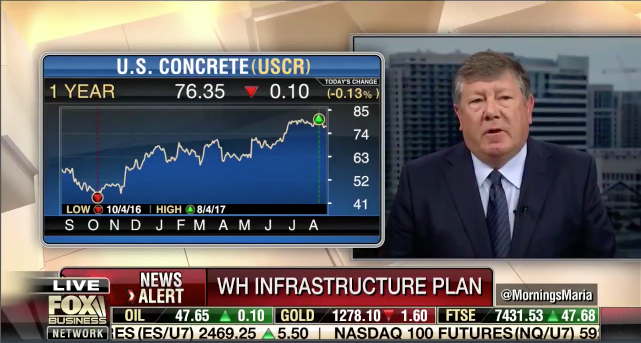 The discussion revolves around Trump's recent press conference in which he unveiled an executive order that would help accelerate the approval process for infrastructure projects. Speaking to the media, Trump suggested burdensome regulations could stymie highway projects for as long as 17 years and cost hundreds of millions of dollars. 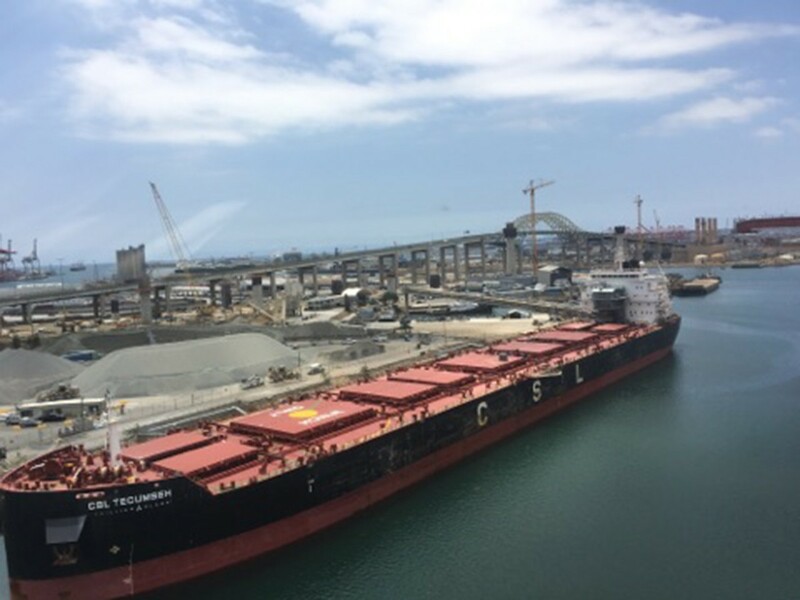 The executive order is a small step compared to the ambitious $1 trillion infrastructure plan announced as a primary goal during Trump's campaign and early presidency. While the status of the plan remains in relative limbo, Sandbrook is confident that cutting some of the red tape obstructing infrastructure projects is a move in the right direction. 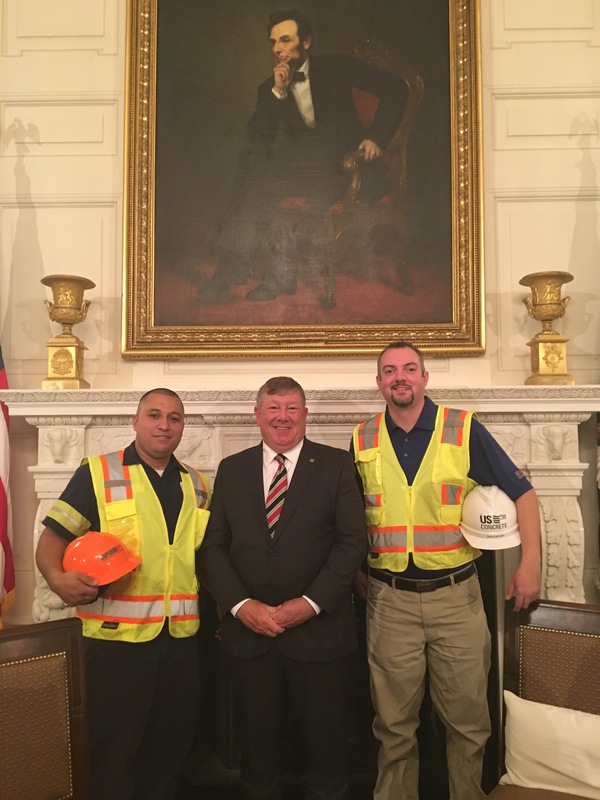 He noted the disparity in efficiency between the government's approach to infrastructure and private business. As for how U.S. Concrete plans to fit into the proposed infrastructure plan, Sandbrook says these efforts are already underway on the private side. 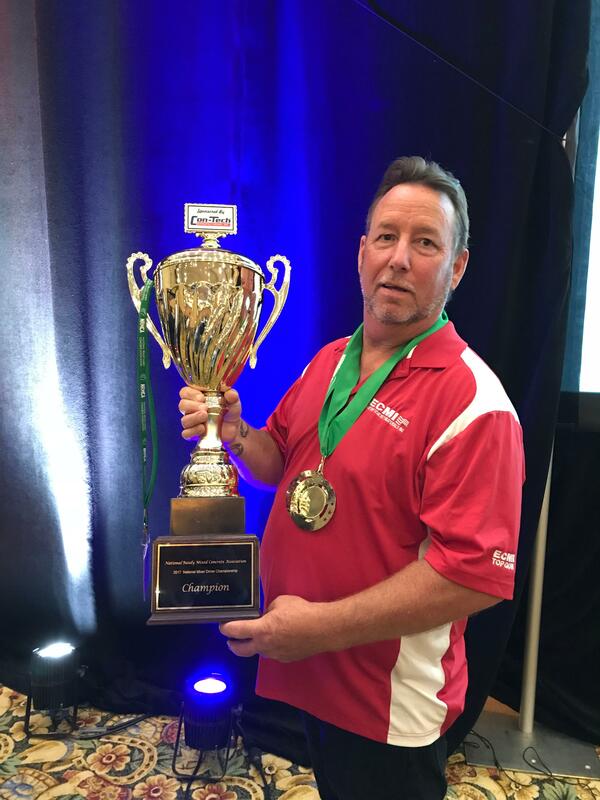 He cites recent projects with New York City's La Guardia airport as well as the Oakland Bay Bridge as notable examples (New York and Northern California are two of the company's primary areas of business). While infrastructure is top-of-mind for Congress and the U.S. government, it constitutes less than 20 percent of U.S. 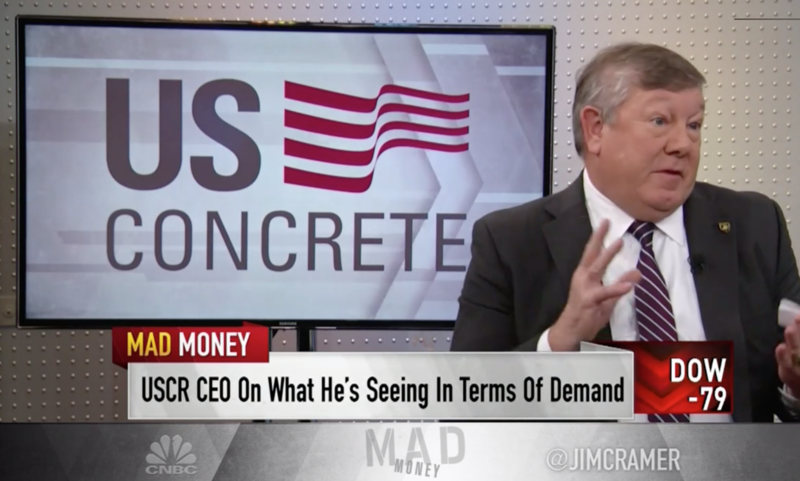 Concrete's business. As of the present, much of the focus in Congress has centered around tax reform, but infrastructure will be among the many agenda items on the list once autumn arrives. As Sandbrook mentions, roughly 60,000 of bridges in the U.S. are deficient and in need of repair. Over time, these problems can and have become hazardous for Americans. Sandbrook hopes deregulation will help facilitate the repair of bridges under threat of becoming more structurally compromised.